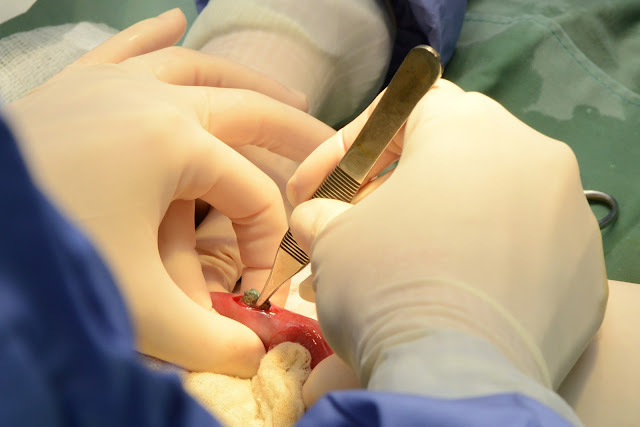 Soft tissue surgery can be rewarding, but it can also present hard challenges. What are the mantras that the profession’s best surgeons live by? I was recently able to pick the brains of three specialist veterinary surgeons about their top tips. The trio are converging in Melbourne from May15-18 to present a course on soft tissue and reconstructive surgery. Together they have over 100 years of surgical experience. 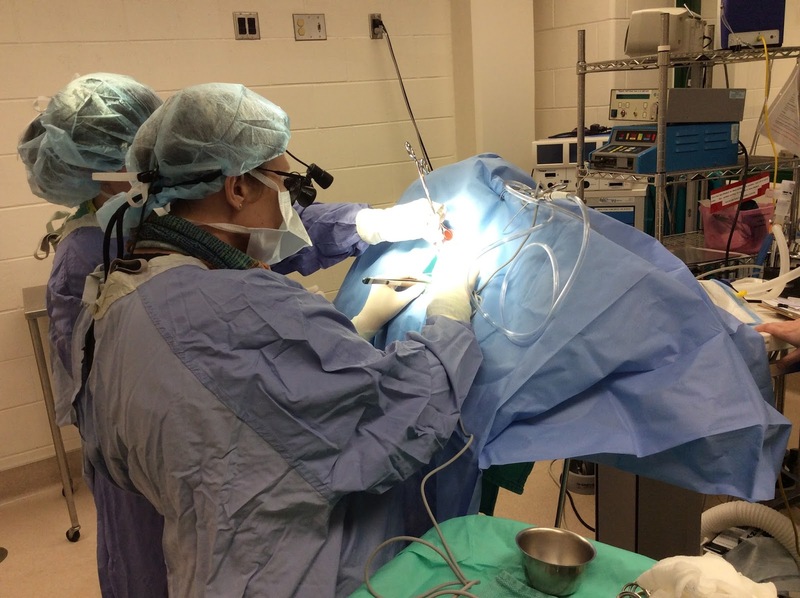 Bryden Stanley BVMS MACVSc MVetSc Dip ACVS is the section head of surgery at Michigan State University College of Veterinary Medicine. Dr Stanley and colleagues perform a procedure. Halsted’s Principles – learn them and love them. Know your anatomy – inside out. Pay attention to detail - never think, “that’ll do”. Above is a short video showing just how many people are involved in specialist small animal surgery. The video was made by Dr Kyle Snowdon. The surgeons are Dr Bryden Stanley and Chief Resident Lindsey Kurach. 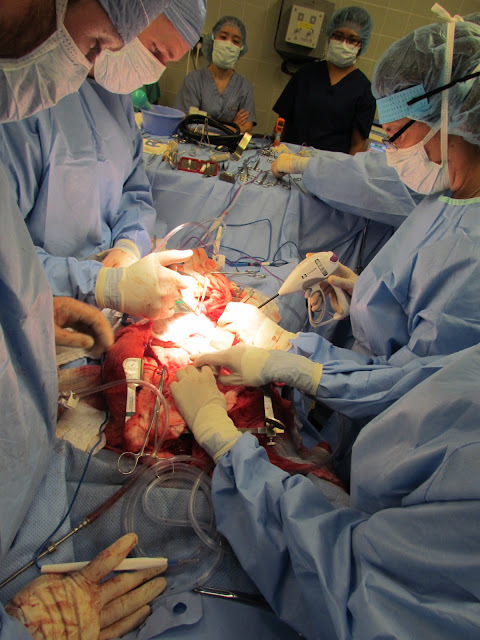 The patient had chylothorax. 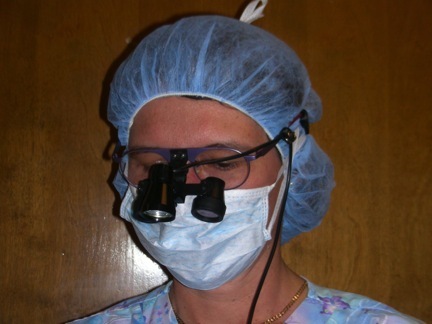 Good surgeons love their loupes. Professor Hunt uses them in a procedure. Geraldine Hunt BVSc MVetClinStud PhD is Professor of Surgical and Radiological Sciences at UC Davis. Professor Hunt was one of my teachers of surgery and I watched her perform many incredible procedures including correction of portosystemic shunts and open heart surgery. She was unflappable. Professor Hunt with colleagues and students. Arthur House BVSc PhD Cert SAS Dip ECVS is an Australian and European specialist small animal surgeon. 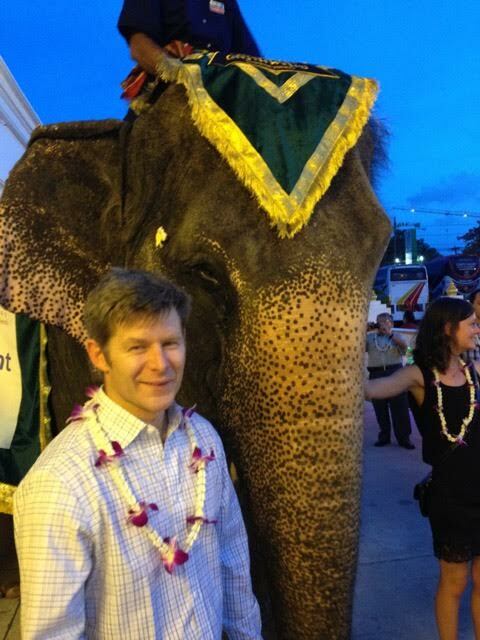 Dr House meets an elephant at the WSAVA conference. accept only the optimal treatment - even at 11pm after a 16h day. Using a 3D printed porous titanium radius implant in a limb sparing surgery. 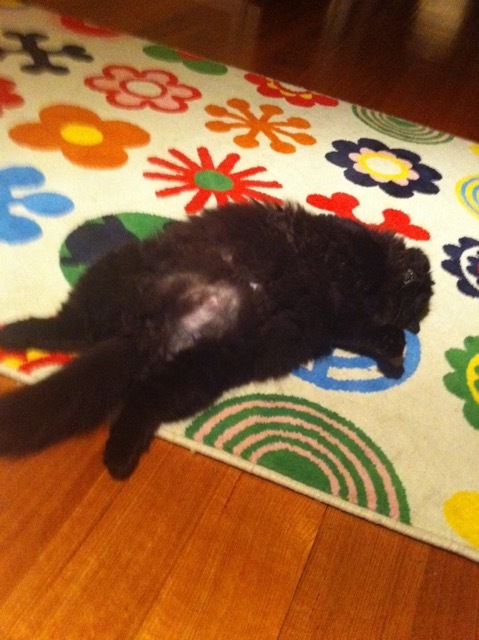 on the rug (and snoring!). The three surgeons are getting together in Melbourne next week to teach a course on soft tissue surgery through the Centre for Veterinary Education. For more info about the course, click here.